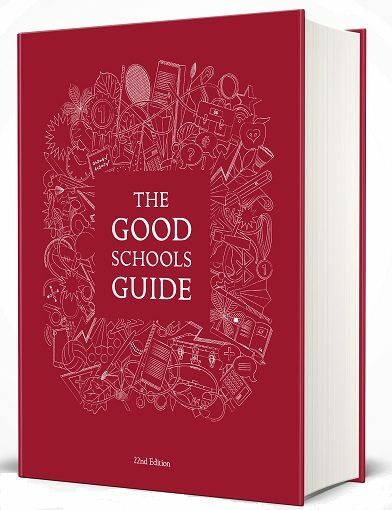 The Good Schools Guide was founded 33 years ago by parents who were looking for objective information about what schools were really like and realised there wasn’t any. If you wanted to know more about a school in those far off pre-internet times you could send for the prospectus, go to an open day or talk to other parents, but it was still pretty difficult to judge which one would best suit your child. And so it was that a small group of like-minded friends set out to visit schools and write about them from the parents’ perspective. Let’s start with some historical context. In 1986, when the first edition of The Good Schools Guide was published, Madonna and The Pet Shop Boys were topping the charts, Margaret Thatcher was British prime minister and Ronald Reagan was president of the United States. Spain and Portugal joined the European Community (as the EU was then known), the UK and France announced plans to build the Channel Tunnel, the M25 motorway opened, Argentina beat England 2:1 in the World Cup (with assistance from Diego Maradona’s godly hand) and Prince Andrew married Sarah Ferguson. GCSE exams replaced GCE O levels and CSEs and Janet and Allan Ahlberg’s children’s book, The Jolly Postman, was first published (and is still delighting children to this day). The average cost of boarding school was between £8,000 and £10,000 a year, with day school fees roughly a third of that. This may sound like a bargain but £10,000 in 1986 is the equivalent of just under £28,000 today. Catering for all parents, including those of children with SEN, has always been part of The Good Schools Guide’s ethos. Dyslexia was first identified in 1896 but was only formally recognised by the UK government in 1987. At that time very few schools understood or provided for children with this or other special educational needs. We now have a huge database of information and an expert team of SEN consultants. Our first website launched 20 years ago in 1999 but we haven’t stopped publishing books, for the simple reason that people still want them. In the last few years we’ve added separate guides to schools in London and boarding schools to our list. The world may have changed, but parents still want the best possible education for their children. That’s why The Good Schools Guide’s uncompromising commitment to editorial integrity has never wavered and we remain as outspoken and independent-minded as ever. In today’s climate of intense educational competition and ever more glossy marketing we are proud that our reviews are trusted and valued by parents. Now, as always, schools have no influence over what we write: they cannot pay to be included in the Guide and are not charged for reviews. We are often asked how schools are selected for The Good Schools Guide. We choose which schools to review on the basis of, among other things, parental feedback and our writers’ in-depth knowledge of the education scene where they live. We hope that in addition to shedding fresh light on well-known schools our reviews will introduce parents to wonderful schools they may never have considered. This stunning hardback is a winner on two fronts. Harry Potter fans will enjoy discovering how JK Rowling came up with her legendary series about a boy wizard and wrote her first draft as she commuted to work on the train. But they’ll also learn key lessons from the author’s life and experiences, her tenacity when times were hard and her insistence on speaking out on causes she cares about, like poverty and children’s literacy. When JK Rowling wrote Harry Potter and the Philosopher’s Stone she had no idea whether it would be published, let alone become an international phenomenon. The Harry Potter books have since sold more than 500 million copies worldwide and have been made into eight blockbuster films. Boss the Bestseller List Like JK Rowling relates how the young Joanne Rowling (known to friends and family as Jo) adored the writing of Jessica Mitford, particularly Hons and Rebels, and longed to become a real-life author when she grew up. Life was tough though, particularly when her mother was diagnosed with MS. Much to her teachers’ surprise, she didn’t fulfil her potential at school and she failed to get into the University of Oxford. Instead, she went to the University of Exeter to study French and classics. The lessons that youngsters can learn from Rowling’s experiences are very motivating. They include advice like reading a lot, working hard, trusting your ideas (‘if you have a great idea, run with it,’ writes author Caroline Moss), learning from your failures and never getting too big for your boots. With vibrant illustrations by Sinem Erkas and quotes from JK Rowling herself, this empowering biography is perfect for Harry Potter devotees and will provoke lots of discussion at home and school. We only had one quibble. The suggestions for further reading are useful but we’re not certain they should include The Cuckoo’s Calling, the crime novel JK Rowling wrote under the name of Robert Galbraith. The Cuckoo’s Calling is listed as ‘advanced reading’, but even so, it’s definitely not for anyone under the age of 16. 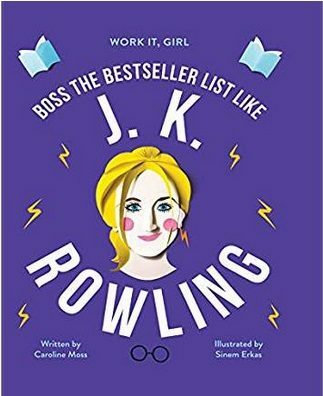 Boss the Bestseller List Like JK Rowling is the first of two books in a new series called Work it, Girl. The second book features media mogul Oprah Winfrey and is called Run the Show Like Oprah Winfrey. Revision time. With the exam season fast approaching, a girls’ school in Berkshire has worked with neuroscientists to produce ‘the ultimate revision guide’. Top tips from Queen Anne’s School, Caversham include ditching the highlighter (highlighting reams of text is said to be unhelpful), avoiding late-nigh revision and using deep breathing, shoulder rolling and head lifts to reduce stress. Teacher’s pets. Good Schools Guide writers have noticed a growing number of wellbeing dogs in schools. This canine presence is said to alleviate pupils’ anxiety, unhappiness and even poor concentration. Buckingham University Sir Anthony Seldon, a long-time campaigner for better mental health among youngsters, says the benefits are so great that every school should have a dog in the classroom. Woof woof! Innovative teaching. Congratulations to Alexandra Haydon, head of science at St Mary’s Calne, who has just won the prestigious i25 award, which recognises innovators and influencers in the independent sector. In the last three years, the school’s IGCSE results in the three sciences have soared from 20 per cent A* to 65 per cent A*, more than half the sixth form study at least one science and she has designed programmes to get more than 200 pupils from local primary schools into science labs. Maths anxiety. Researchers from the University of Cambridge have found that one in ten children aged between eight and 13 suffers from maths anxiety, which means they have ‘overwhelming negative emotions’ towards the subject, ranging ‘from rage to despair’. School holiday fines. The number of fines issued to parents in England for taking their children on holiday during term time has almost doubled in a year. Penalty notices rose by 93 per cent to almost 223,000 in 2017-18. Tackling online sexual harassment. Nearly a quarter of UK teens have witnessed young people secretly taking sexual images of someone and sharing them online. New research by children’s charity Childnet also reported that almost a quarter of 13 to 17-year-olds had received unwanted sexual messages and images in the last year. The charity has published a set of educational resources to tackle online sexual harassment carried out by young people.